I thought why not give it a go. I followed the directions, mixed it all together put it into my spray bottles. I happily took the 4 bottles of Miracle Spray to my “End Of Lease Clean” job the next day. I was so eager to see the results of this OMFG Miracle Spray. I started with the shower and the screens, the glass mirrors in the bathroom, then moved onto the oven and of course walls and doors. 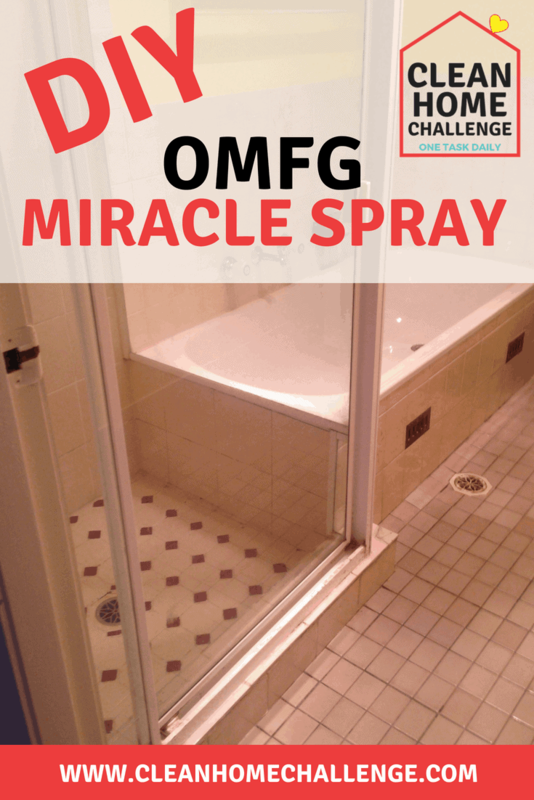 What did I discover about this Miracle Spray? Firstly, the smell is just amazing!! Shower screens came up great. 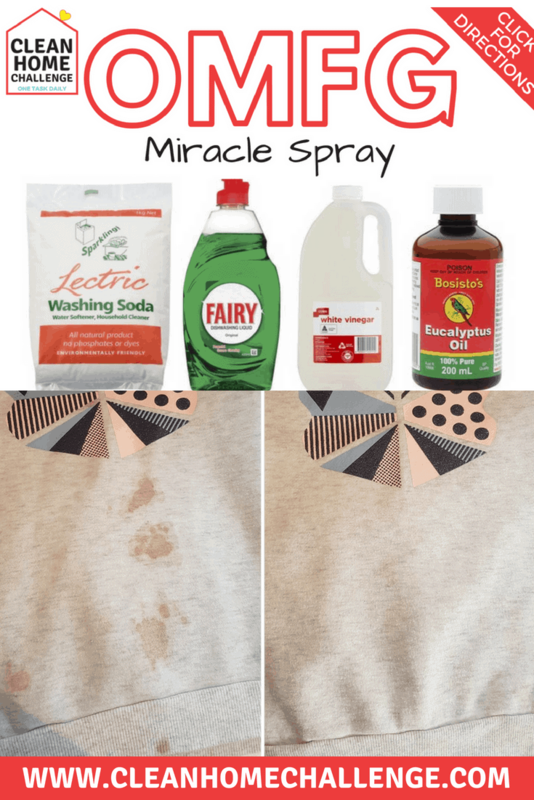 Simply spray and wipe with a microfibre cloth. You need to spray while it’s still wet. DO NOT LET IT DRY! As for my oven well I’m happy to say that without using elbow grease it did wipe away some of the stuff on my oven door. Spraying a little bit more and giving it a good scrub with a scourer definitely got it all off. The mirrors in my bathroom were terrible they were so streaky, but if you wipe it over with a dry microfibre cloth, it was streak free! 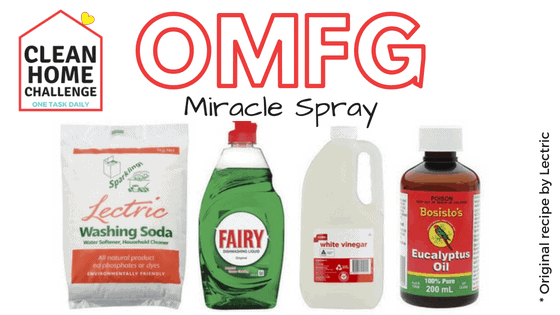 As an overall natural OMFG miracle cleaning spray, I would have to say that I would happily use it for all my cleaning! Mix Lectric Washing Soda with about 1 cup boiling water to dissolve. Pour into a 2 litre bottle. Pour into left over spray bottles for benches and laundry. Refill old toilet cleaner bottles to squirt under the rim in the toilet. Can I use a different oil eg lavendar oil. I don’t like the smell of eucalyptus. Eucalyptus oil is used in the recipe due to it’s proven disinfectant and antiseptic properties. However, if you wish to use a different oil, you can. Lavender oil has antibacterial, antibiotic, antiviral, antiseptic, deodorizing and insect repelling properties that make it an extremely useful safe natural way for keeping up the home environment on a daily basis. Sounds amazing! Will have to try this out and my husband won’t recognise our house when he gets home!! I’m definitely going to try this spray. I’m always searching for new and improved cleaning products! Hi Maia, This is a great recipe, as all the ingredients are easily available. 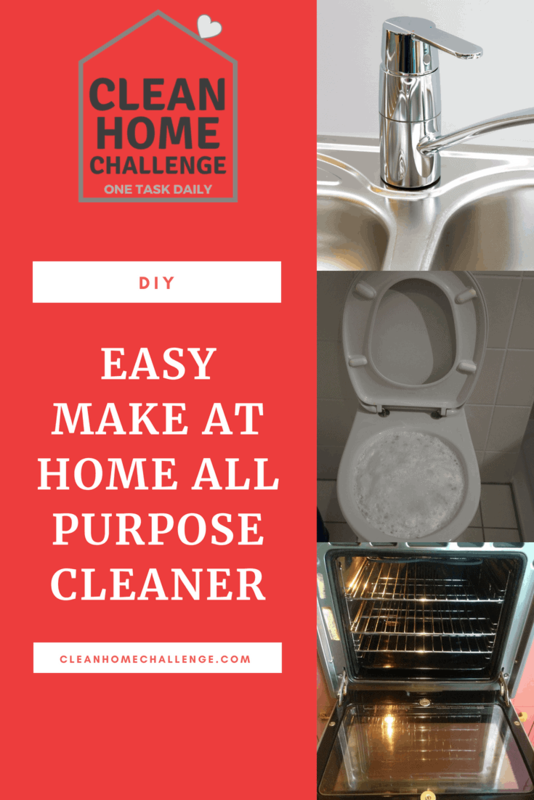 Awesome, I love homemade cleaning products **that actually work**!! I have another brand of washing soda at home so think I could probably use it, right? Hi Lindsay, Yes of course, any brand washing soda would work. I’ll definitely try it on my oven! I’m always looking for products that I can use for the oven that are tough on stain. The fact that I can use my products around the house to make the ingredients is pretty awesome Thanks for the tips! Yes, I have found it works best on greasy areas. Ooo will give this a go! Let me know how you find it, and if you like it. Isn’t it great when we find something that makes life easier?! Sounds like this spray does just that. I’ll be exploring your site further, as cleaning is not my forte, and I can see you’re an expert. Looking forward to learning lots! 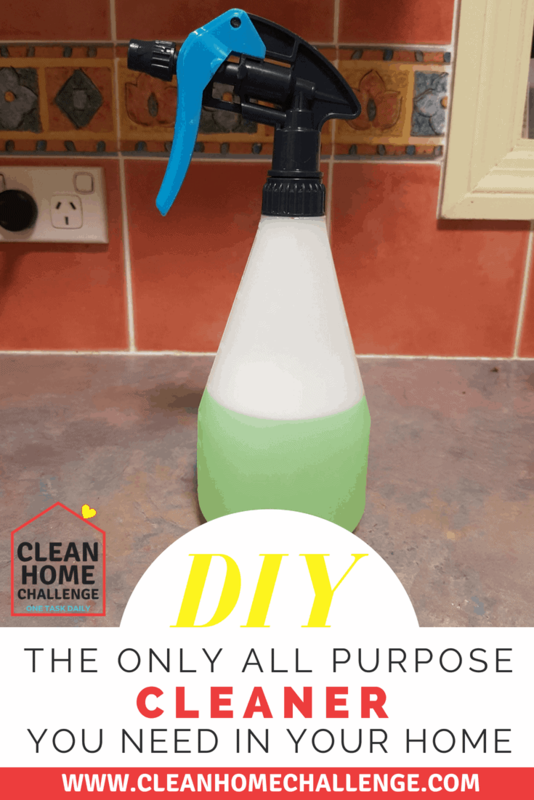 I love this homemade cleaner for so many things! Awesome! 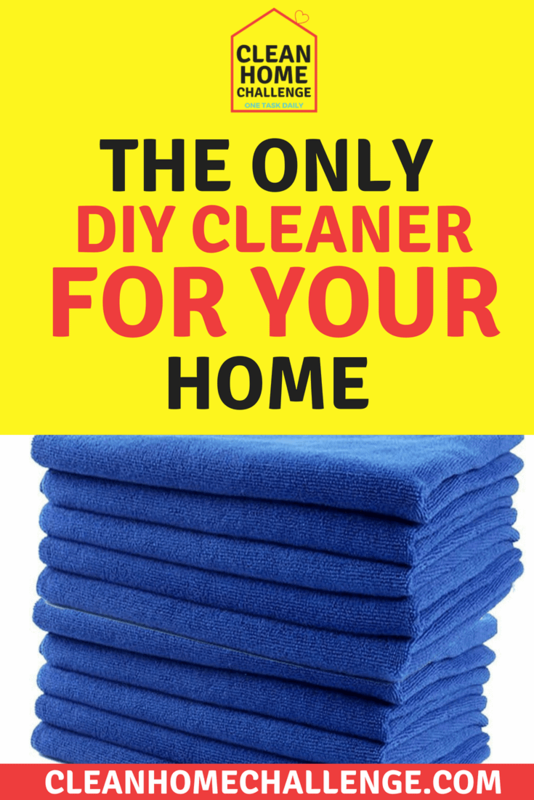 I hate wasting precious family time cleaning… So anything that works fast and efficiently something I want to try! 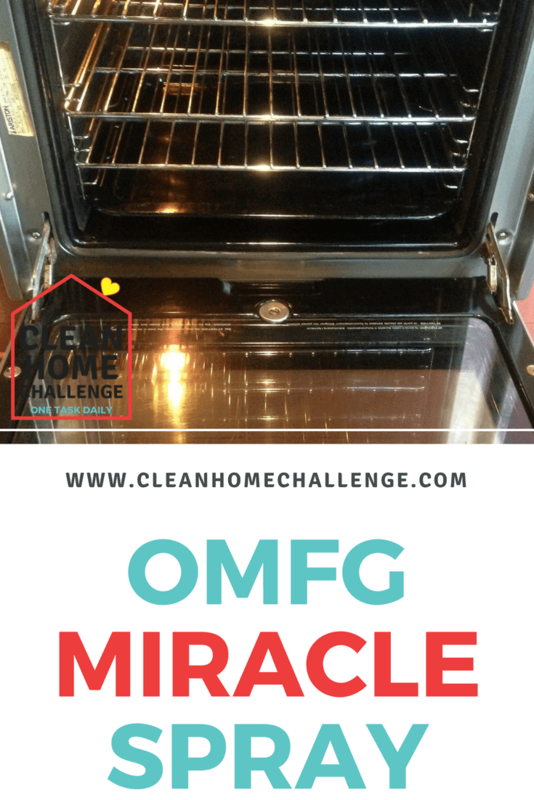 This sounds amazing and like such a safe cleaner to use around my family! Pinning this to save! 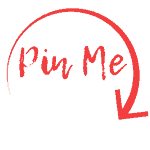 Great to use in family homes 🙂 Thanks for pinning. This is so cool! I’m definitely going to have to try this. I’m always looking for more natural cleaners. Hi, I live in New Zealand and we don’t have these brands here apart from the eucalyptus. Can i use the brands we have here? Hi Patrick, Yes of course you can use your brands. Worked a treat on my lounge suite that had stains left from trying to treat stains! What is electric washing soda? Hi Toni, It can be found in the laundry aisle of your supermarket.